Suffering From Foot Odor? Catechin Helps! 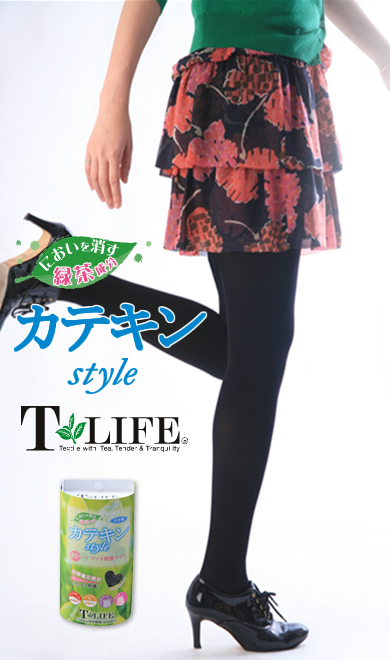 A Japanese hosiery maker, M & M Socks Co., Ltd., sells women’s tights, called Catechin Style, dyed with catechin. (C)M & M Socks Co., Ltd.
Well, what is catechin(?_?) According to Wikipedia, catechin is “a polyphenolic antioxidant plant secondary metabolite.” Hmm, difficult. Well, according to my knowledge, catechin is a green tea leaf extract which is useful and healthy (I’m not sure if it’s right, though ^^;). 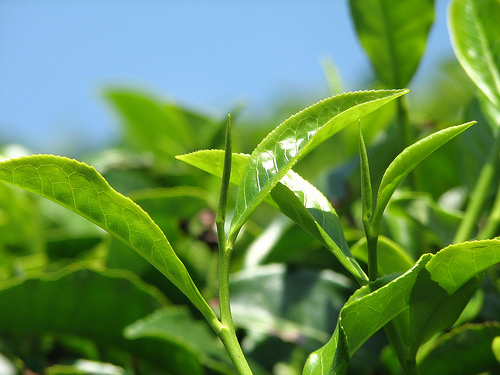 Green tea catechins are useful in eliminating several unpleasant smells such as body odor, bad breath, and ripe garbage. Autumn has just begun in Japan, and the season for boots is coming soon. Boots are very kawaii (cute), but also can lead to foot odor. Catechin style tights help prevent annoying this foot odor. The odor-killing effects last even after the tights are laundered. Japanese women don’t need to worry about foot odor any more! Unfortunately, M & M Socks Co. Ltd. doesn’t sell catechin products for men. But dried green tea leaves placed in your shoes also help remove foot odor. Try it out!